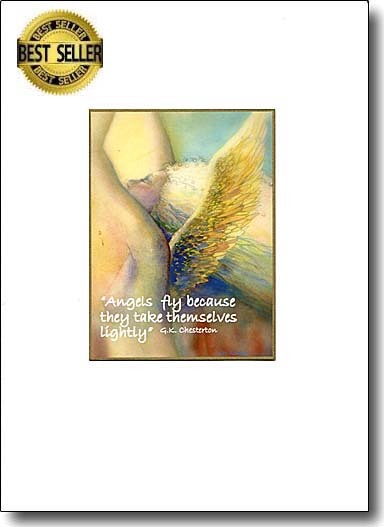 All occasion spiritual greeting cards from Angels to Zen Wishes share the emotions of hope, encouragement, gratitude, love and more with enhanced prints. Touch the recipient's soul with these inspired greetings. 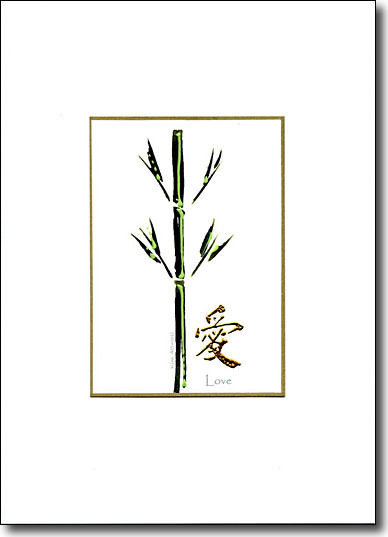 One of the Zen Wishes series. These cards look great when framed in groupings. Wisdom is a powerful wish to send to someone. Such sage advice. This empowering quote by Kobi Yamada touched me the first time I saw it. Send it as an inspiring graduation card. Here's a bold and beautiful way of sharing a soul greeting and connection. The embellishment is a movement on the water with clear sparkles. I share this with special friends. The rose teapot is embellished. 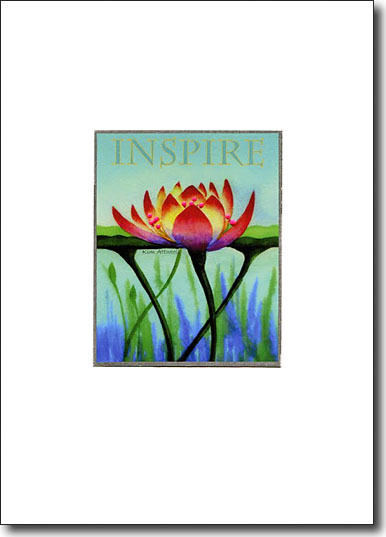 The Lotus is such a beautiful way of illustrating the word "inspire". Give this lovely card to those who affect you in all the right ways. 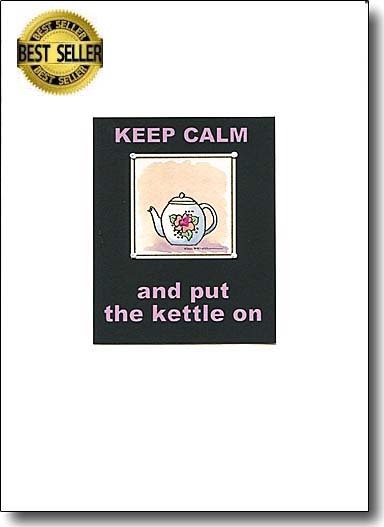 Here's a touching enhanced card for teachers and professors. 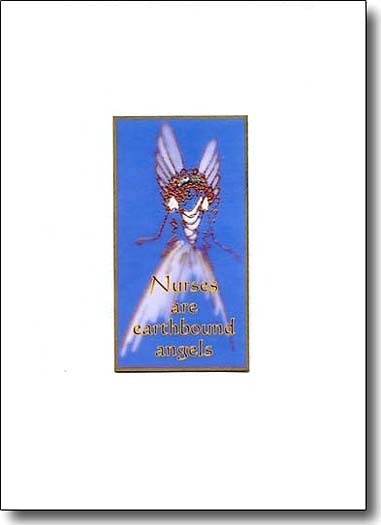 Honor and celebrate the professional caregivers who touch our lives and help us to heal. Such basic advice, just breathe. 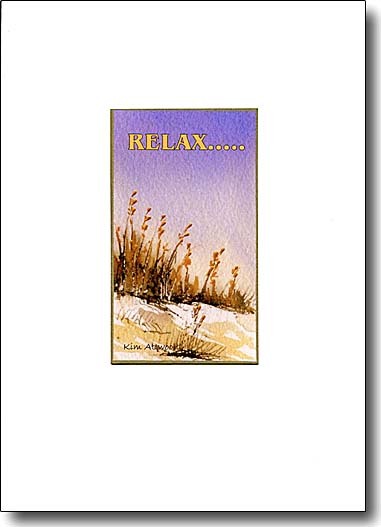 Here's a simple colorful watercolor that reminds one to relax and let the worries of the world fall away. Here's another Zen wish. 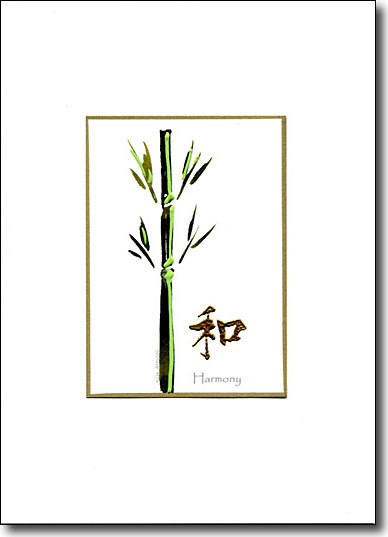 Harmony is a rich wish to give for musicians, lovers and newlyweds. 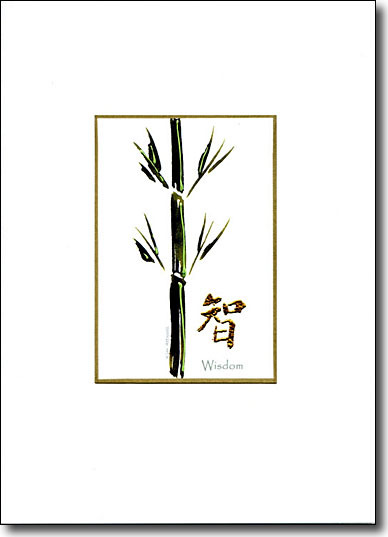 Remember to frame the Zen wishes in groupings for inspiring home decor. 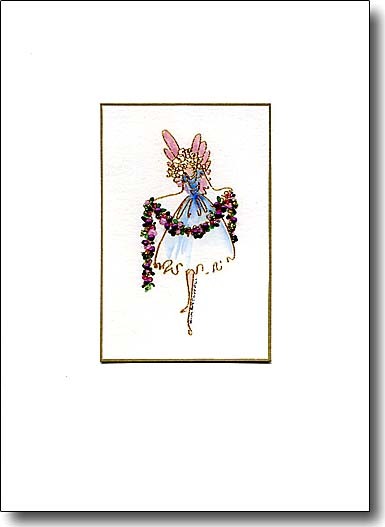 This is a heavenly card with the first hint of the holidays. I like to write on the inside, "You decorate my holidays". The garland is enhanced with raised flowers for a feminine touch. These sea oats in warm colors enhanced with touches of gold, invite the recipient to become less tense or anxious. 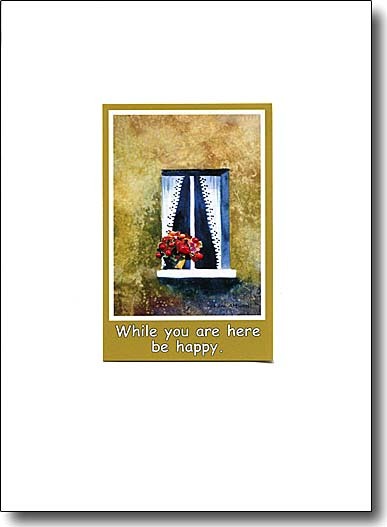 A great card to send to good friends to let them know that they are in your thoughts. 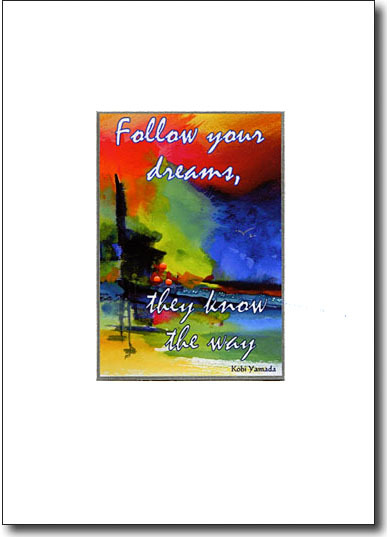 I love this quote and decided to put it in my artistic butterfly painting. It's so wonderfully hopeful! The butterfly's wings are embellished with glitter. 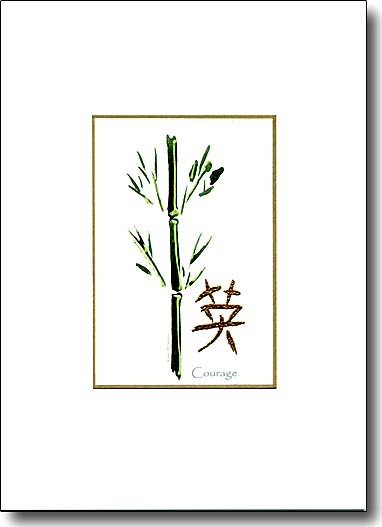 This Zen wishes card conveys the ability to confront fear, uncertainty, pain, intimidation and danger. 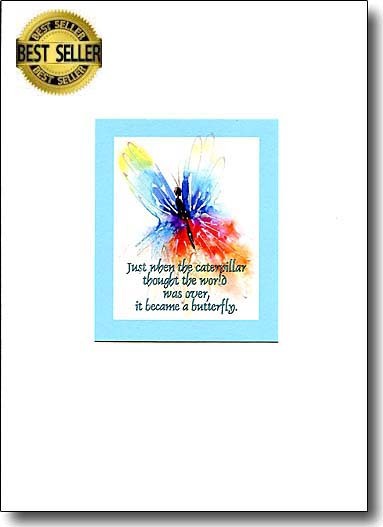 When you give this card, you share the incredibly powerful word that makes the world go around. It's perfect for weddings and anniversaries and should be included in any framed grouping of these Zen wishes. 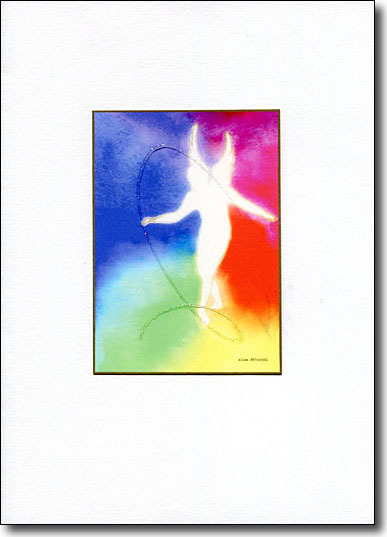 Analogous colors painted around an angel and embellished with a sparkle flourish is a great all occasion spiritual greeting card. Here's a hopeful, warm landscape to calm an anxious soul. It's a reminder to inhale, exhale and relax. 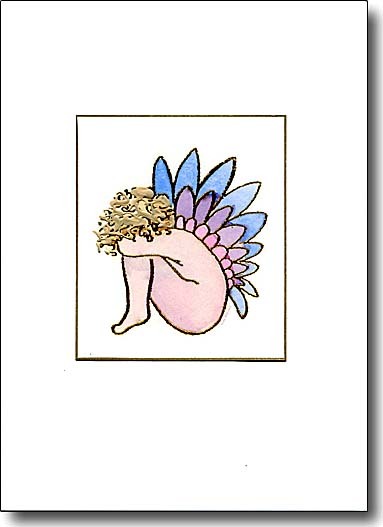 Here's a whimsical, yet touching sympathy card. When you add sincere words to the inside, it's sure to leave an impression of caring. 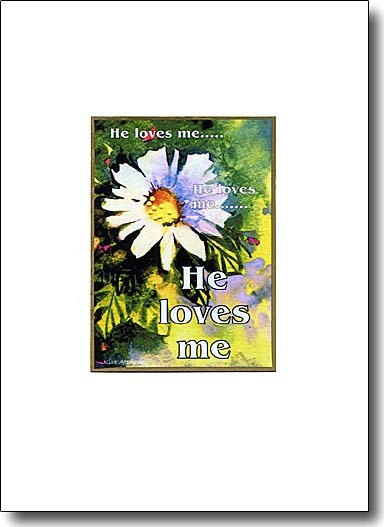 My daisy watercolor lends itself to the play on words of "He loves me, he loves me not". A deep faith leaves one believing that God always loves. This pretty painting is an appropriate backdrop to one of my favorite quotes. 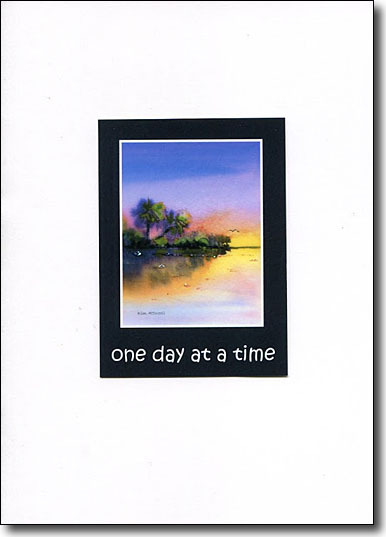 It's a comforting handmade card that's bound to give hope to the recipient. 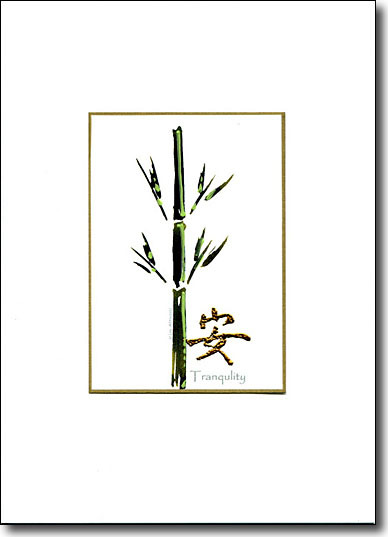 This Zen wish addresses permanence. It's a perfect anniversary or wedding card and is very meaningful to me as the calligraphy contains a "J" and a "K", my husband's and my initials. 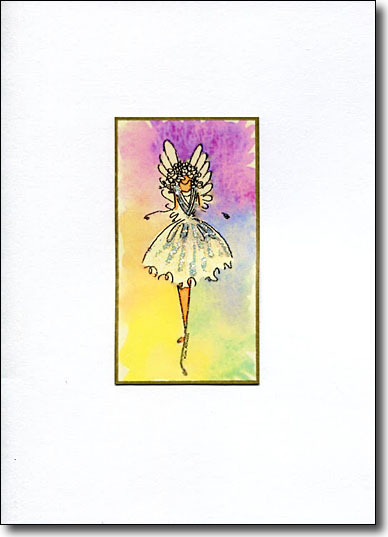 A serene sprite with a sparkly halo wrapped in comforting wings is a sweet handmade spiritual greeting card. 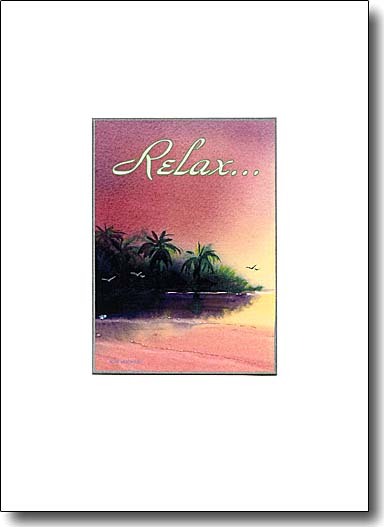 I loved painting this dramatic landscape and adding the word "Relax" seemed perfect. The still water has a slight ripple effect in the foreground to further engage the viewer. For me this image is cathartic. 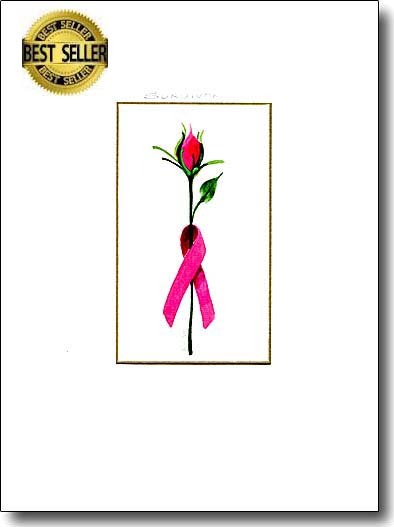 I painted many of these roses post surgery and love to share them with fellow survivors. 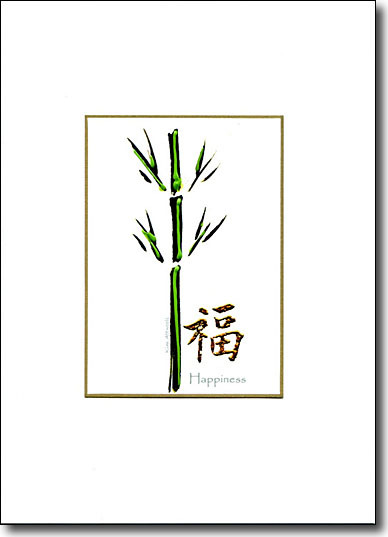 Spread pleasant emotions ranging from contentment to intense joy with this Zen wish. 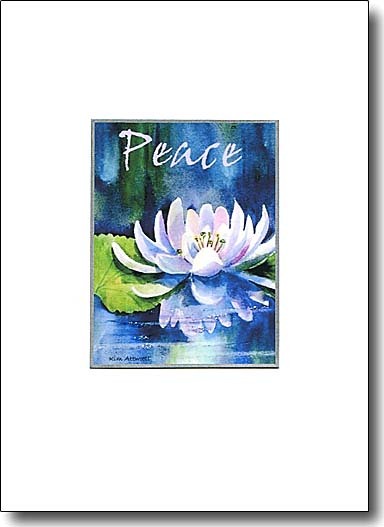 Choose five or seven of these spiritual greeting cards to frame them in an inspiring grouping. 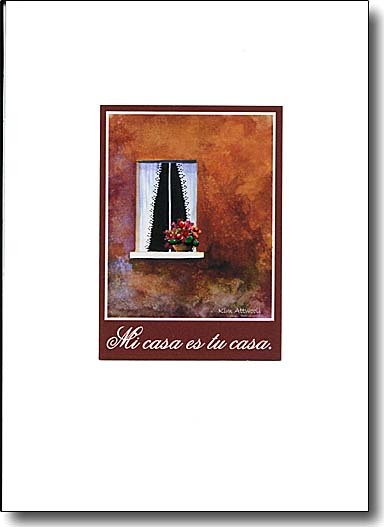 This warm welcoming card extends welcome with a bold watercolor of a window. Frame it and put it in a guest bedroom. 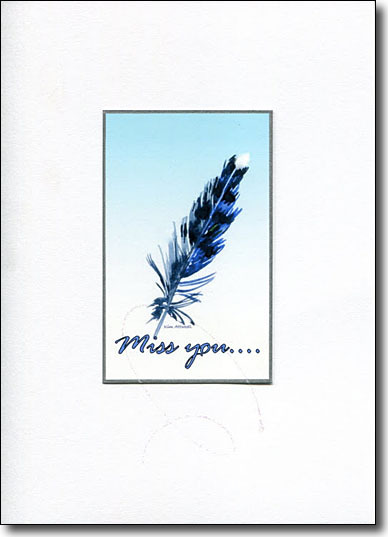 Touch a friend's heart with this simple message and a Bluejay feather. 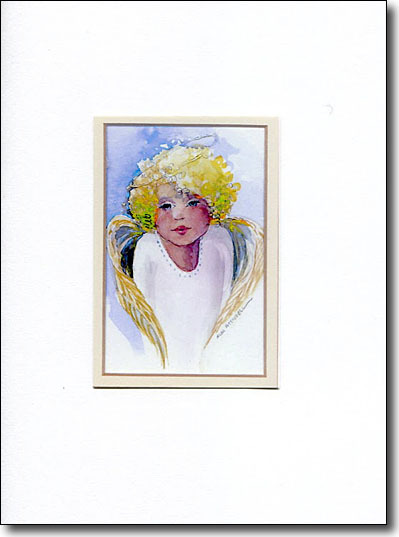 A delicate angel in color makes this graceful greeting card perfect for all occasions. Her dress is alive with embellished sparkles. 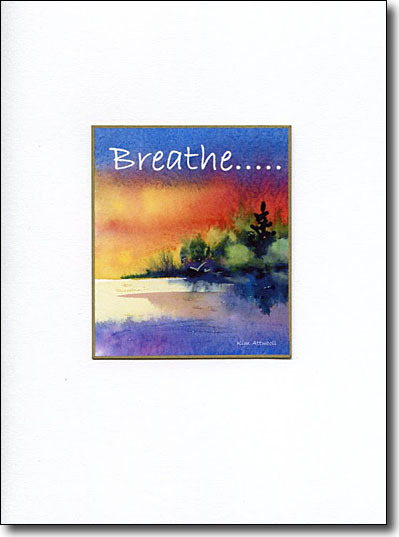 Here's a perfect card to send to bring serenity and calm to someone who needs it. The Lotus floats on shimmering water. 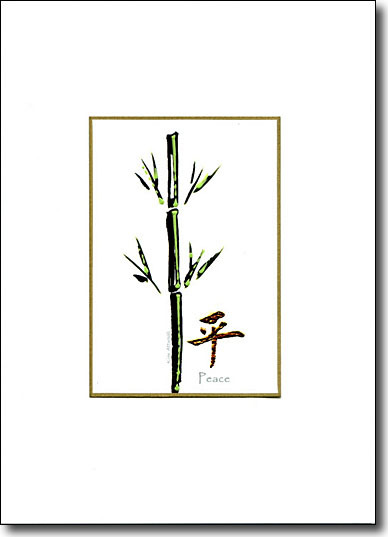 The visual strength of bamboo and the character of peace combine for this Zen image. 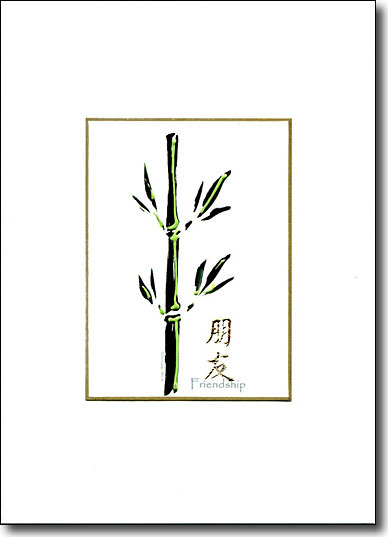 Frame this with other Zen wishes to add spiritualism to your walls. This is such a funny quote. 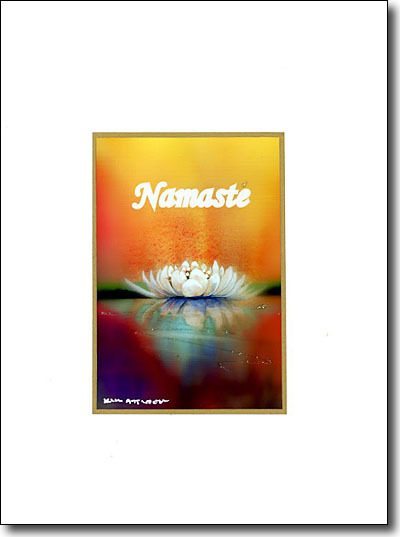 Send this enhanced spiritual greeting card to friends whom you admire. They'll know how much you think of them. 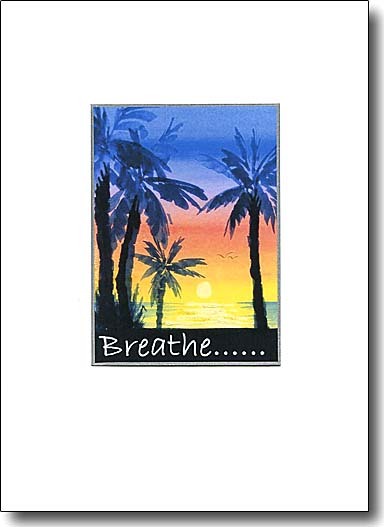 A peaceful, serene reminder to rejoice in life on life's terms against the backdrop of the tropics. 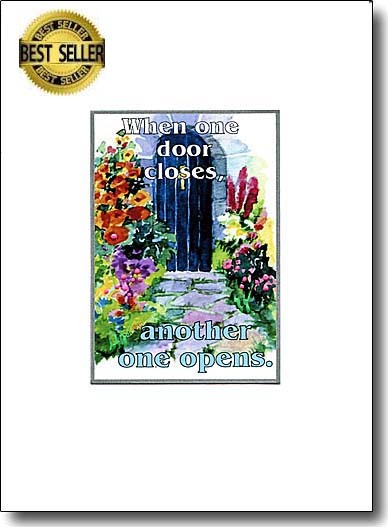 This condolence or get well card is meaningful to a friend who's life is difficult at present. Here's a warm, inviting spiritual greeting card. I enhance the flowers on the window sill and hope it touches hearts. Enduring friendships strengthen and sustain our lives. 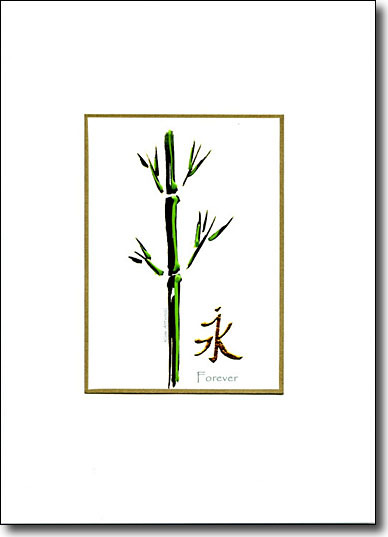 The characters for friendship adjacent to the enduring strength of bamboo.